XPTaskPane is an Microsoft Office XP TaskPane inspired container control helps to host a number of XPTaskPage, which the user can browse using a dropdown menu and the arrow buttons in task pane’s header portion. Complete design-time support - Provides support to easily design the XPTaskPages and browse using a drop-down menu and the arrow button in task pane’s header portion. User interface properties - Provides options to create child controls representing the different segments of the XPTaskPane and also exposes them in the designer to let users customize it. 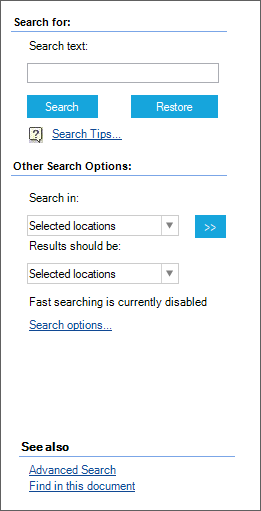 Add / Remove pages - Provides options to add or remove pages either through verbs or through TaskPages property settings. Navigation - Provides options to navigate through pages at design-time by selecting Previous page and Next page verbs or using arrow keys in the XPTaskPage Collection Editor. Page sequencing - Provides options to reorder the pages through ‘Bring to front’ and ‘Send to back’ verbs or by using XPTaskPage Collection Editor. Visual style - Support rich set of built-in themes like Office, Metro and much more.